I developed a habit of rereading the Harry Potter novel series many times. I first saw the book back in high school, almost twenty years ago. And goodness I was so impressed! I got hooked on the story, with its compelling mysteries, childish but solid plot and amazing world building. And do note that before Harry Potter, I’m no book reader. 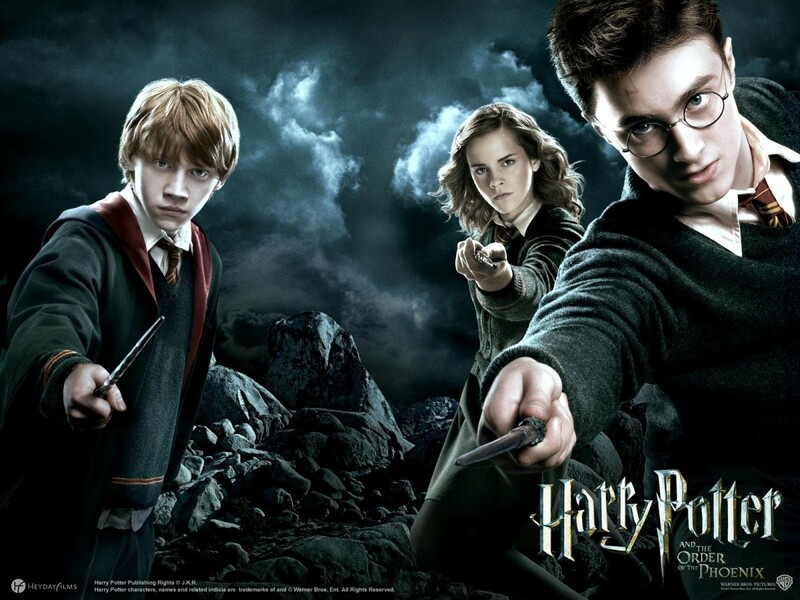 We could say that the Harry Potter series was the first novel I read and the book that got me into fiction. It changes me as years later; I plan to publish my own book. It is a venture that goes on until today. Self-reflection and nostalgia aside, I often reread the novel at least once a year after I first came in contact with the book. And as do I begin to notice how wizard have something in common with each other. No matter what house they belong to, whether you are a dark wizard or not, we could group the wizards into class. It may be according to their brains, oddities, race and whatever I might think of. And do note that this is just my opinion. I have too many experiences with overly sensitive Japanese anime fans but I think Potterheads are more open. Interested? 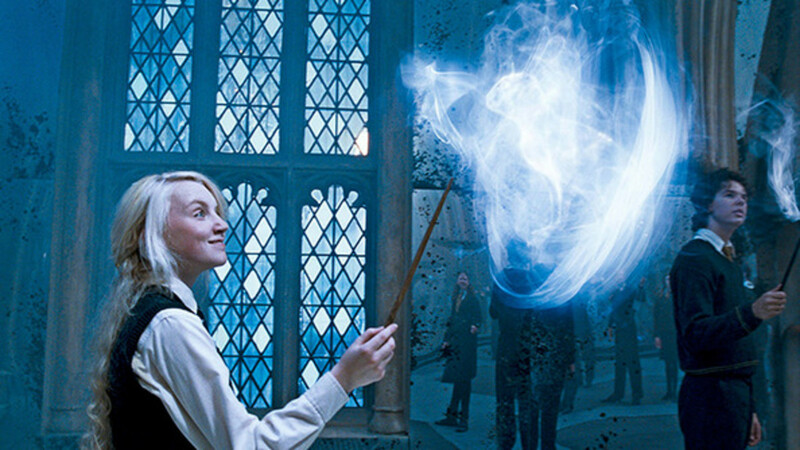 Then below are 11 kinds of wizards in the Harry Potter universe. (If I forgot any, feel free to comment). Clockwise; Albus Dumbledore, McGonagall and Hermione Granger. As what the name suggests they are good in doing their things. They are just darn good at magic. Yet doing spells are not the only thing they are good at. I observed how these guys and girls are quick witted, clever, practical and wise. They are even good in dealing with people. They are the best of the best though they are not exactly perfect. 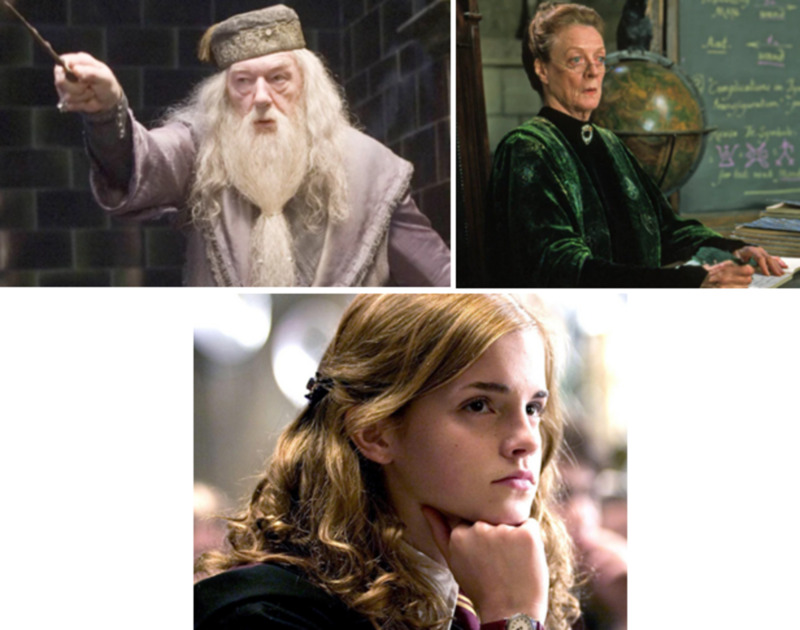 The good old Albus Dumbeldore, Minerva McGonagall and Hermione Granger are good example. The same can be said to the young Tom Riddle before he became the Dark Lord. Hagrid and the tiny Flitwick. We thought that only the Lord of the Rings has those, but the Harry Potter universe had their own to boast. Yup they are human, with something else in their blood that causes them to be err, special. In short they are half human, half something and full wizard. And that half something are magical creatures! The results are a collection of wizards that grew larger than normal, guys the height of goblins and student trolls. As strange as they are, these guys are darn good, even better than most normal wizards (with an exception that is). Who could forget the half giant Hagrid, the tiny Flitwick. They might be strange but not freaky. If there is someone you could call freak, be it the jocky Slytherine Quidditch Captain Marcus Flint. Professor Trelawney and is Luna Lovegood. Wizards are odd enough themselves. Only these guys came as extra weird. Even by normal wizarding standards, they have unique taste, habits and interest. Their strangeness might come as ridiculous, but I know one who is weird in a good way. Professor Trelawney often presents herself as more mystified than the other Hogwarts teachers, though she looks stupid teaching that fortune telling stuff. My personal favourite is Luna Lovegood. Strange she might be but not only she is a good wizard, she is nice, sweet and friendly. 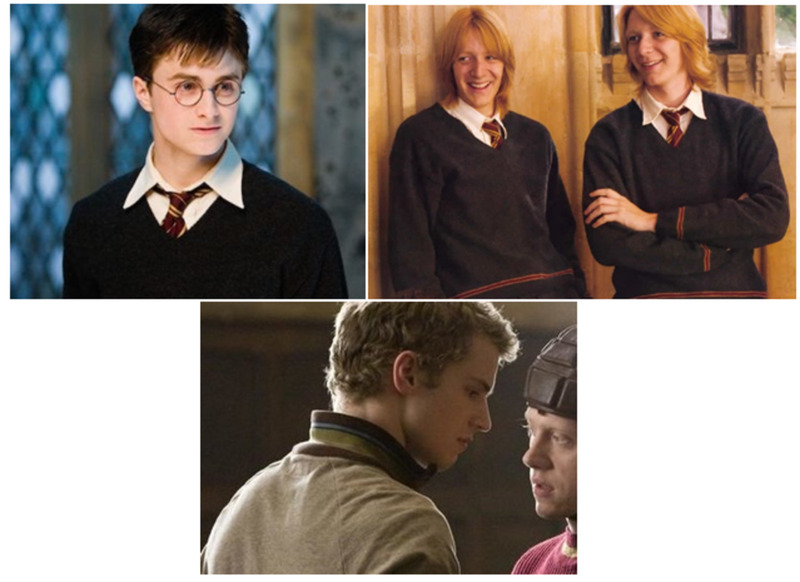 Clockwise; Harry Potter, the Weasley Twins and Cormac McLaggen. What we got here are a bunch of fellows who are recklessly brave. You might have guessed that most are from Gryffindor as what the trait says, and yes they are Gryffindors. Passionate is the word here, be it adventures, fun, or simply mischiefs. Their hot headed aggression did earn them a certain level of admirations from teachers and students alike, though it may get them into trouble more than once. And the fire in their hearts could go out of control and they may end up blowing steam at their fellow students (or teachers). Harry Potter’s hunger to prove himself sometimes extends to his temper and made him wreck Dumbledore’s office once. The Weasley Twins on the other cannot be calmed down while Cormac McLaggen’s passionate self-importance almost drove Harry to kill him. Oliver Woods and Victor Krum. They love sports, period. And they are good at it. They are the most athletic in the wizarding world and a sporting star both in school and outside. To anyone unfamiliar with the Harry Potter series, a jock with broomstick will come to mind. But that’s not always the case. They are capable wizard themselves matched only by their skills in Quidditch. Oliver Woods will come to mind for the sporty types, as well as Angeline Johnson. 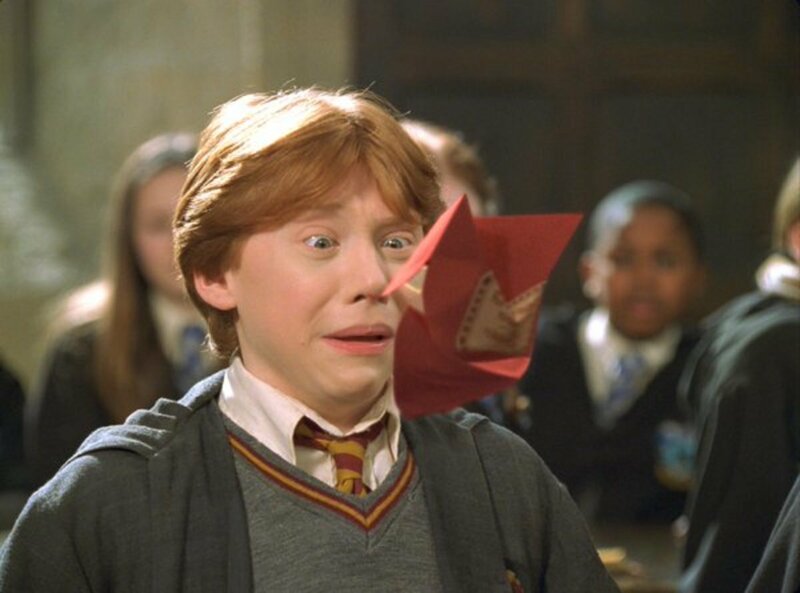 Harry Potter is also a good choice, but it was his wife Ginny Weasley who became pro. And who could forget the Triwizard player Victor Krum. Malfoy and his bullying Professor Snape. I always thought that Hogwarts had a bullying problem. Dumbledore might be too soft on them because there are simply a lot. But with a Slytherine professor leading the bullying charge this might explain why it is so rampant. Even before Harry bullies are already a norm, and just like any there is, they are nasty, cowardly and manipulative. I never knew why Draco Malfoy became a fan favourite. Being the biggest classroom bully, the fan obsession is toxic. And I knew how parents will mob Severus Snape in real life once they learned of his abusive behaviours. Harry’s dad James Potter is not a saint either, who had a penchant to pick on the poor Severus. And while Slytherine was the hot bed for bullies, the idiot Zacharias Smith came from Hufflepuff. Horace Slughorn and Peter Pettigrew. When they see it, they will grab it without second thoughts. When they want it, they will go for it regardless the cost. They will push anything aside, even morality to meet their ends and they could be pretty nasty indeed. This might be traits of Slytherine but it will exist elsewhere. Yet there are good examples also that used opportunity for the benefits of many. Many don’t like him but the master opportunist Horace Slughorn only takes simple tokens as returns. And he did help a lot in achieving their dreams. 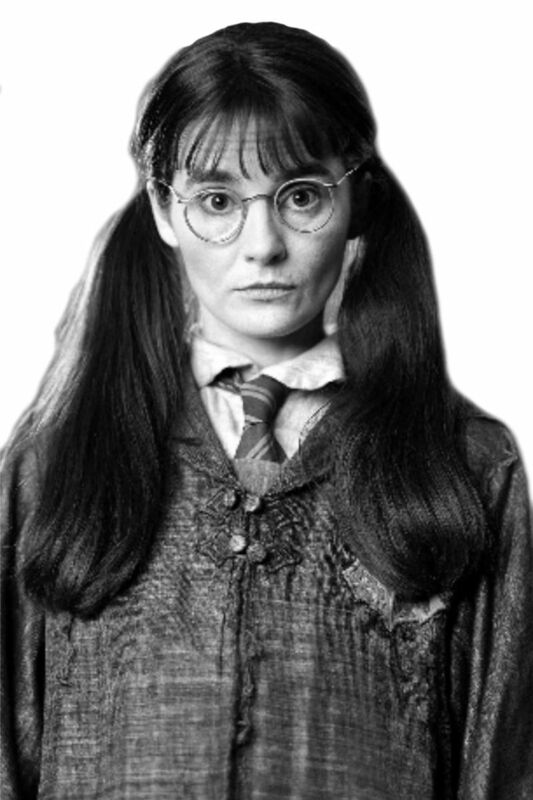 On the other end of the spectrum are some nasty Slytherins, but the traitor Marietta Edgecombe is from Ravenclaw. And then there is Peter Pettigrew, the pest from Gryffindor. Lord Voldemort, and his faithful psycho Bellatrix. At least now we know where Riddle belongs to when he lost his nose. If there are crazed maniacs in the muggle world, expect a lot in the wizarding realm as well. So much so that Voldemort managed to build a whole underground strike force composed of those nutters. The more unhinged the member, the higher the rank. Hence this might explain why Bellatrix Lestrange is in the inner circle. By the way we have a feeling that there are more in the Slytherine house though most are unmentioned. He might not be perfect, but Harry is thankful! The wizarding world is a better place with them. We could ignore the dragons, goblins and any creepy crawlies as long as we have these fellows by our sides. They could be loving moms or supporting friends. Ron Weasley might be left in the shadow, but Harry is pretty much nothing without a friend. His Mom Molly served as Harry’s surrogate mom while Arthur acted as dad. He will never be ignored. 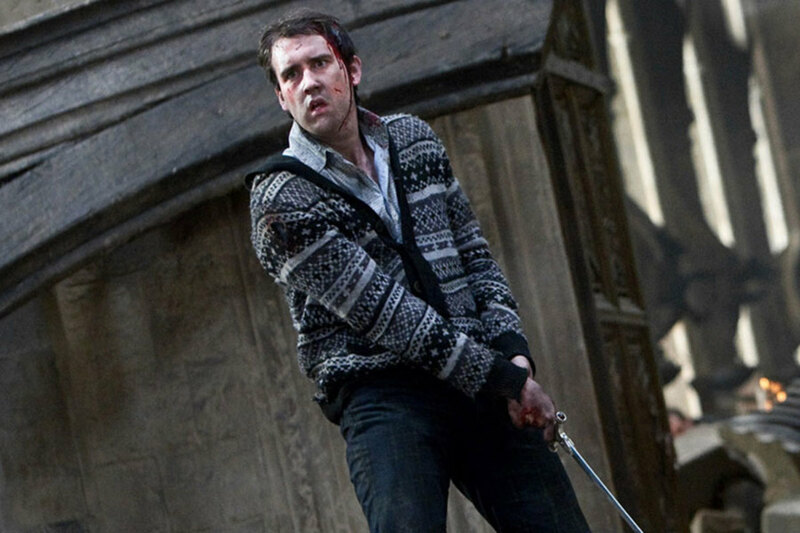 We thought that Neville Longbottom is as useless as F***k in the first book series, all changed as Voldemort came to power. I mean from a nervous kid pressured to do magic, he ended up summoning the sword of Gryffindor to behead the oversized snake Nagini. It all comes down to sheer will and courage, which made us understand why he is in Gryffindor. Crabbe and Goyle are here. Why? Thanks Kassandra for stopping by! It was great. The names gave you an idea of what they were but you still wanted to read them for more information.